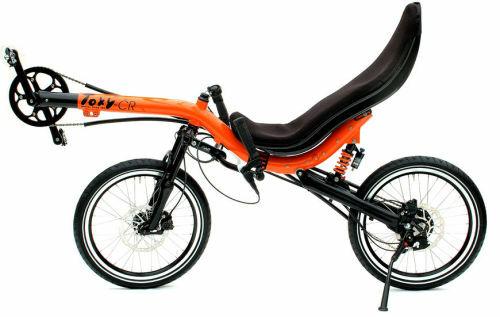 Recumbent bike configurationCustomize & order your personal bent online. Customize & order your personal bent online. 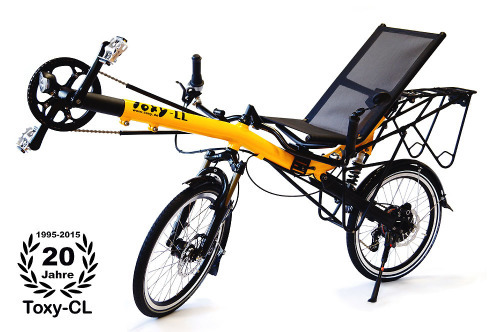 The Toxy CL was 1995 the first recumbent built with a full suspension and compact alloy frame, that started a whole new class of recumbents. 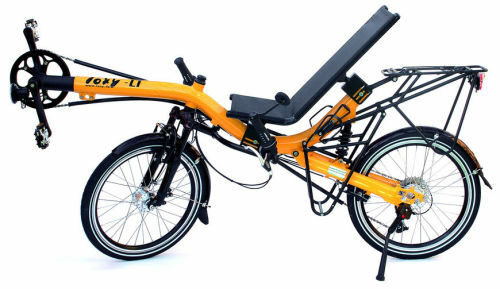 Even today it is the best choice for classic, dependable all purpose recumbent. Notice: For a perfect handling, CL riders size is suggested to be at least 5.8ft (1.75mtr). Toxy CR - Comfort Cruiser. Experience the new CR with unprecedented comfort: Based on the successful Toxy-LT frame, the sensitive suspension fork now offers 55mm of travel and the rear lever can be mounted up to a maximum of 135mm of travel thanks to special rear lever with adjustable shock base. 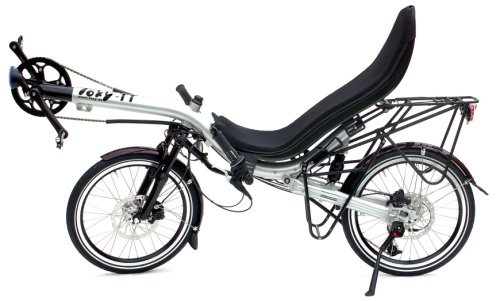 For a comfortable tour we designed our Toxy LT. With it´s sophisticated frame geometry and balanced handling, this touring recumbent offers perfect cycling comfort in a smart riding position. 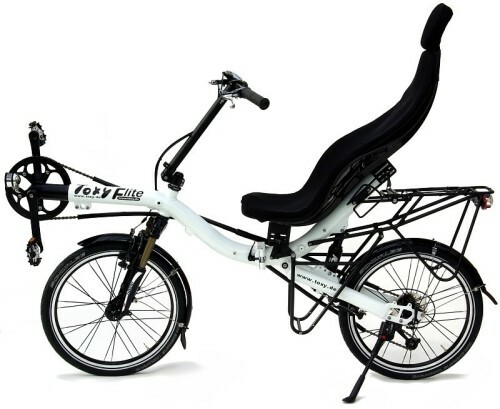 With the lower seating position, this bicycle is especially designed for men and women with a height starting at 1,45 m.
Toxy FLITE - wherever you go. For sports and fast touring, we developed the TT and, for your favour, assemble some nice light weight parts even at serial grade. You will get a bicycle that is a top performer under any requirements. Toxy ZR - Speed machine. 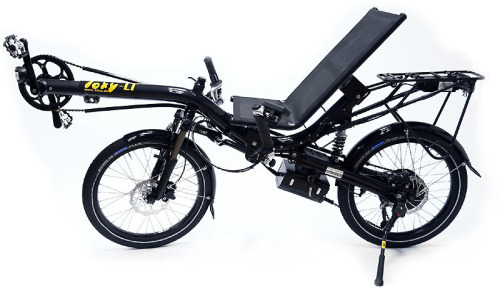 Toxy Smart.E - recumbent e-bikes. Welcome to our recumbent configuration tool! Just choose your Toxy model and start your personal configuration. Once finalized, you can save or print your configuration – and of course order your Toxy directly. Enjoy customizing your Toxy – and your smart Toxy rides! Yes I subscripe the Toxy-Newsletter - keep me informed!. Your desired Configuration will be finally checked and You will receive an Invoice by Mail for Prepayment. ﻿Toxy Liegerad GmbH - Smart cycling performance. Made in Germany. Since 1995.